The goddess known as Cailleach in Scotland and parts of Ireland is the embodiment of the dark mother, the harvest goddess, the hag or crone entity. She appears in the late fall, as the earth is dying, and is known as a bringer of storms. She is typically portrayed as a one-eyed old woman with bad teeth and matted hair. Mythologist Joseph Campbell says that in Scotland, she is known as Cailleach Bheur, while along the Irish coast she appears as Cailleach Beare. Her name is varied, depending on the county and region in which she appears. 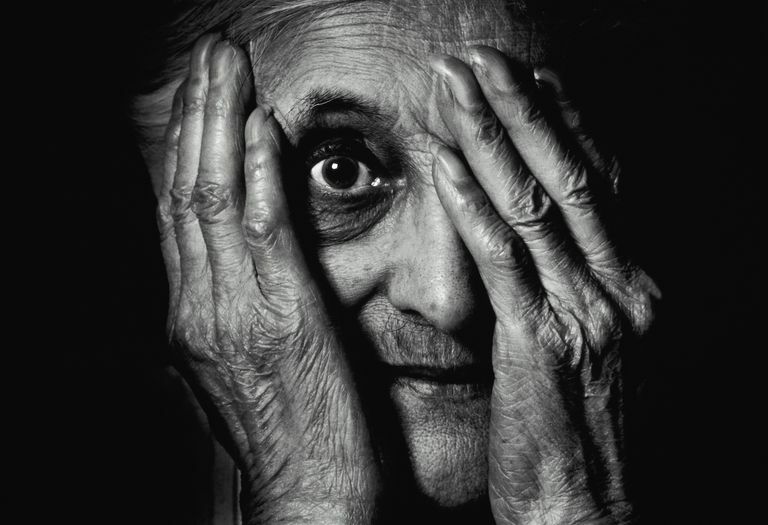 According to The Etymological Dictionary Of Scottish-Gaelic the word cailleach itself means "veiled one" or "old woman." In some stories, she appears to a hero as a hideous old woman, and when he is kind to her, she turns into a lovely young woman who rewards him for his good deeds. In other stories, she turns into a giant gray boulder at the end of winter, and remains this way until Beltane, when she springs back to life. "The Cailleach Beara is ever-renewing and passes through many lifetimes going from old age to youth in a cyclic fashion. She is reputed to have had at least fifty foster children during her 'lives.' Her grandchildren and great-grandchildren formed the tribes of Kerry and its surroundings. The Book of Lecan (c.1400 a.d.) claims that the Cailleach Beara was the goddess of the Corcu Duibne people from the Kerry region. In Scotland the Cailleach Bheur serves a similar purpose as the personification of Winter; she has a blue face, and is born old at Samhain ... but grows ever younger over time until she is a beautiful maiden at Bealtaine." Cailleach rules the dark half of the year, while her young and fresh counterpart, Brighid or Bride, is the queen of the summer months. She is sometimes portrayed riding on the back of a speeding wolf, bearing a hammer or a wand made of human flesh, and sometimes even wearing human skulls attached to her clothes. Interestingly, even though Cailleach is typically depicted as a destroyer goddess, especially as a storm-bringer, she is also known for her ability to create new life. With her magical hammer, she is said to have created mountain ranges, lochs, and cairns all over Scotland. She is also known as a protector of wild animals, in particular, the deer and the wolf, according to the Carmina Gadelica. "The Caillagh ny Groamagh ("Gloomy Old Woman", also called the Caillagh ny Gueshag, "Old Woman of the Spells") of the Isle of Man is a winter and storm spirit whose actions on the 1st of February are said to foretell the year's weather; if it is a nice day, She will come out into the sun, which brings bad luck for the year. The Cailleach Uragaig, of the Isle of Colonsay in Scotland, is also a winter spirit who holds a young woman captive, away from her lover." In some Irish counties, Cailleach is a goddess of sovereignty, who offers kings the ability to rule their lands. In this aspect, she is similar to the Morrighan, another destroyer goddess of Celtic myth.